How many lies can this guy tell. Jeep is not moving jobs to China. Every fire and flood the Red Cross is on the scene. The President lauds their work. My United Way contribution goes to them every year. There are places like Newark, New Jersey, for example, where you’ve got 80, 90 percent of the people without power. We can't have a situation where that lasts for days on end. And so my instructions to the federal agency has been, do not figure out why we can't do something; I want you to figure out how we do something. I want you to cut through red tape. I want you to cut through bureaucracy. There’s no excuse for inaction at this point. I want every agency to lean forward and to make sure that we are getting the resources where they need -- where they're needed as quickly as possible. So I want to repeat -- my message to the federal government: No bureaucracy, no red tape. Get resources where they're needed as fast as possible, as hard as possible, and for the duration, because the recovery process obviously in a place like New Jersey is going to take a significant amount of time. The recovery process in a lower Manhattan is going to take a lot of time. So my message to the governors and the mayors and, through them, to the communities that have been hit so hard is that we are going to do everything we can to get resources to you and make sure that any unmet need that is identified, we are responding to it as quickly as possible. And I told the mayors and the governors if they're getting no for an answer somewhere in the federal government, they can call me personally at the White House. First of all, because our local law enforcement, our first responders are being swamped, to the extent that everybody can be out there looking out for their neighbors, especially older folks, I think that's really important. If you’ve got a neighbor nearby, you’re not sure how they're handling a power outage, flooding, et cetera, go over, visit them, knock on their door, make sure that they're doing okay. That can make a big difference. The public can be the eyes and ears in terms of identifying unmet needs. Obviously, you can go on their website. The Red Cross knows what they're doing. They're in close contact with federal, state, and local officials. They will make sure that we get the resources to those families as swiftly as possible. And again, I want to thank everybody here who is doing such a great job when it comes to the disaster response. One of my favorite stories is down in North Carolina, the Coast Guard going out to save a sinking ship. They sent a rescue swimmer out, and the rescue swimmer said, “Hi, I’m Dan. I understand you guys need a ride.” That kind of spirit of resilience and strength, but most importantly looking out for one another, that's why we always bounce back from these kinds of disasters. This is a tough time for a lot of people -- millions of folks all across the Eastern Seaboard. But America is tougher, and we’re tougher because we pull together. We leave nobody behind. We make sure that we respond as a nation and remind ourselves that whenever an American is in need, all of us stand together to make sure that we’re providing the help that's necessary. I still say this may be the big surprise on election night. Vote in the poll on the sidebar. Remember the question is who do you think will win not who you are voting for. Like many people I dismissed Gene Stilp's chances in the Democratic primary against Bill Vinsko. He is known as the guy with the big pig and other stunts and I didn't take him seriously. Then I talked to him for an hour at the Spring Blogfest and found out that he came close to winning a state house seat in the very Republican year of 2010. The conventional wisdom holds that Gene doesn’t have a prayer against Republican incumbent, Lou Barletta, but conventional wisdom may not apply to Gene Stilp. Gene will be running in the 11th Congressional district, newly configured to ensure Barletta’s reelection. The Republican power brokers who drew that map certainly anticipated that Barletta would be running against a conventional Democrat, but Gene is anything but a conventional Democrat. Incidentally, the registered voters in the new 11th are 44% GOP, 43% DEM and 12% IND. Gene has HUGE appeal with the IND voters, and GOP voters below Luzerne County. In an interview Barletta didn't sound like he likes his new job. Among the many criticisms leveled by citizens at Congress is that bipartisanship has caused stalemate in the House and Senate. The popular opinion is that much is said and discussed by the legislators but little comes of it. "I'm just as frustrated as the average citizen with the gridlock," Barletta said. The first-term congressman said he's sought for and found opportunities to find common ground among both Republicans and Democrats, even bucking party leadership on at least one occasion. He found a Democrat to co-sponsor transportation legislation and sought Democrats' support to revamp relief funding in the wake of a presidentially declared natural disaster...."For me, that's dysfunctional. It doesn't matter if you're a Democrat or Republican, we still have a responsibility to do the business of the American people," he says. "You can have disagreements with these bills, but I believe all the Senate should have the opportunity to vote on it, debate it, send it back to the House and maybe we could amend it. We could see where there's common ground." There is more to being a Congressman than yelling about immigration. "Due to weather concerns, WVIA has cancelled the 10th congressional district debate that was to be held Tuesday, October 30. Efforts by WVIA to re-schedule the debate await Congressman Tom Marino's availability as he attends to constituent service through the storm." Due to the weather we are rescheduling the Mundy /Cartwright rally to Friday Nov 2, 5-7pm West Wyoming Hose Company #1 Shoemaker Ave. Now you can join us for a tailgate party before all the high school football games! Boyer's Catering will be putting on a delicious spread, beer and soda, the event is free. Bring a friend! I will be hosting an event at Marianacci's Restaurant tonight in West Wyoming from 6-8 tonight. The event is FREE. Anybody looking for a chance to get out of their house or enjoy some good pizza and good company, please feel free to swing by Marianacci's, especially if you have lost your power and are looking for a bite to eat. Be safe everyone and hope to see you there! I just got a call from the American Future Fund with a push button poll. I told them I'm a 65 year old Republican Evangelical Christian that attends church 14 times a week that voted for McCain in 2008 but will now vote for President Obama because he is doing a good job on the economy. I bet that is discounted in their screening. This is not a real poll but a phishing operation so they can hit you up for money in the next few days. HeidiEight also got this call. This may the best prepared we have been for a storm. I spent the last few hours going up and down the street cleaning the storm drains of leaves and other debris. Checked the sump pumps at our mother's houses and charged every electronic device we own. The portable TV and DVD players can be used as a source of light if we lose power. I bought batteries for the flashlights and radio on Saturday and stocked up adult on beverages. Mrs. G has a big collection of candles if needed. We filled a bunch of buckets with water and have plenty of bottled water to drink. I also gathered all the coolers we have and filled the freezers with ice. I hope it's all for naught but I fear this kind of thing will become more frequent as the earth keeps warming. Looking at getting a generator after the rush subsides. Wyoming Valley Flood 2011 has been reactivated and is a great resource for the latest information. Matt Cartwright has an amusing spot that most guys can relate to. . “Here at home, I have certain responsibilities. Like taking out the trash. In Congress, I’ll take out tax loopholes for millionaires and big corporations. At home, I cut the lawn. In Congress, I’ll help cut taxes for child care and senior care, but I’ll never cut benefits for our veterans.” . The Honey Do list is on the side of my fridge. .
Something screwy is going on with the polls on the sidebar. Every time I refresh the page the number of votes casts decreases. So I deleted them and put them up again. I hope that fixes the problem, we will see. The question is who do you think will win the election not who you are voting for. We start off with the national and statewide elections. Will President Obama be reelected or will mittmentum sweep Governor Romney into the White House? Can Tom Smith leave Bob Casey in the coal dust? Do PA voters voters make history by electing Kathleen Kane as the first woman Attorney General or continue the Republican streak by going for David Freed? Please vote on the left sidebar and tell us your predictions in the comments. WHY IS EVERYONE SO SCARED OF A DUMB HURRICANE???? I’m fit to be tied like a cow to the slaughter over the way the stupid liberal weather forecasters are trying to scare everybody over the coming hurricane!!! And even worse, the dumbbells all fall for it!!!!!!! I guess now my weekend trip to Wal-Mart and the grocery store will be ruined because all the namby pamby commie heathens will be out hoarding flashlights, candles, and every other damned thing under the sun. Then I’ll have to wait in line for an hour or a half hour at best just to check out my few things!!!! And don’t tell me to go to the ten items or less line because the stupid morons always line up in that aisle with thirty!!! DAMN!!!!!! Back in my day we had hurricanes too, but we didn’t get all upset about them!!!! Hell, we wouldn’t even know if one was arriving, let alone a snowstorm because we didn’t have 24/7 weather on the radio (no TV back then---thank the Lord). You woke the hell up, got out of bed and looked out the window. That was the weather forecast!!!! If it was raining you wore your rubbers, if it was snowing you put on your trusty stocking cap and if it was sunny you enjoyed it! It was never sunny, at least as far as I can remember. I remember my old man during a hurricane back in the good ol’ 30’s. He sent me out to Joe the Butcher’s corner pickup to buy a sixer of Ballantine. Good ol’ Ballantine, I don’t think they make that anymore. Anyways, I was a little runt and made it a point to be seen and not heard as Pops wanted it. I remember he told Mom to go to the ice box and get him a bottle after returning from a rough day at the breaker. She told him that it was all gone since he had brought the boys home the night before for an surprise evening of poker. Well, good ol’ Pops flipped telling Mom that as lady of the house it was her place to see that all his needs were met since he spent all day doing actual work. I still can recall the whistling wind outside the house and the shaking of the windows and rafters. The lights were flickering off and on but Pops needs came first. Of course, then Pops walks into the kitchen and sees none of his beloved Ballantine. “Where the hell’s my beer, runt!!?? What did you spend that half buck on candy again???!!! ?” I then began to tell him of the heavy wind that threw me and how I lost the coin but I didn’t get a chance to even finish my words. He proceeded to place a shiner the size of a silver dollar on my left eye and then place a similar one on my right eye for good measure (to be fair, the one on my right eye was probably the size of a quarter). Calling me every vile name in the book he kicked my down the basement steps and threw me in the coal chute where I was told I was to spend the night. Lying amongst a pile of Anthracite feeling the wind seeping through the basement windows onto my body I felt like hell. MY eyes were now beginning to swell to a point where I could barely see; my throat became dry from breathing in the ash and lack of water; my back and legs were throbbing as a result of multiple kicks on my trip to the chute. It was agonizing, degrading, frightening……almost inhumane……and I loved it!!!!!!!! Because I learned a very simple lesson that night. When your old man gives you money to buy beer, put the damn money in your pocket and not in your stupid hand especially if there’s a hurricane going on!!!!!!!!!!!!!!!!!!!! Every time hurricane season arrives I think of good ol’ Pops. He was one of a kind….when they made him they broke the mold. I miss him a lot. So, when all you prissy liberals start crying and shaking about the upcoming hurricane remember that you ain’t got it so bad. I’m sure you’ll be in the corner shaking in your thousand dollar designer shoes---not Praying because most of you are so full of ego that you don’t even acknowledge our Lord Jesus Christ. As for me, I’ll be sitting in my trusty recliner, lighting a lucky, swilling a Steg (Gold Medal) and listening to the late great Lena Horne singing Stormy Weather on the ol’ Victrola. That’s how I deal with a hurricane……. It's a tradition on Gort42 to put up some polls on the sidebar the week before the election. The question is who do you think will win the election not who you are voting for. I'll have my predictions next weekend. I put up 3 races to start it off and will list more over the next few days. State Rep Jerry Mullery (D) asked if Rick Arnold (R) can’t pay his property taxes, how can voters elect him to represent them in Harrisburg? Arnold is behind on the taxes on 3 properties he owns totaling $16,579 according to the TL. They are not up for Sheriff's sale and he made a payment plan. He blames it on the bad economy and reassessment. I hear him on reassessment since my property taxes tripled on our home and rental properties. His home building business is down after the Republicans crashed the economy impacting his business and cash flow. Mullery gave a condescending answer. Mullery said Arnold has never contacted his office for help, noting that he has answered many requests for assistance from constituents in similar circumstances to Arnold, referring them to financial planning agencies that could help individuals reassess their spending habits or assist in mortgage refinancing. Arnold has a radio spot airing on WILK that I haven't heard and is not available on his website, FB, etc. For too long, homeowners in Luzerne County and across Pennsylvania have been burdened with crushing property taxes. Seniors on fixed incomes find themselves in the difficult position of losing their homes because they can no longer afford their property taxes. Small business owners, who already are struggling in a weak economy, find themselves struggling to pay their mortgages and bills, let alone expand and grow. Over the years, usually in an election year, politicians in Harrisburg have promised relief. The passage of gambling in the commonwealth was the last broken promise, when lawmakers failed to dedicate 100 percent of the revenue generated toward real property tax relief. As a small business owner who builds homes, I know how difficult it is to afford high property taxes. Like many people, I struggle every year to pay my property tax bills. While my family and I always have managed to meet those obligations, sometimes paying penalties, there are many people who unfortunately continue to lose their homes. That’s why I’m running for state representative in the 119th District. I am a real blue-collar worker who understands and has struggled the same way many residents in the district have. I promise to do everything in my power to eliminate sky-rocketing property taxes and finally give back control to local taxpayers. Police investigated a man banging on a house door on Mill Street at about 5:30 p.m. Thursday. Thomas was confronted on the porch and yelled a racial slur at the officer. Thomas allegedly threw a spider at the officer and spat in the officer's face, the complaint says. Police allege in the complaint Thomas resisted arrest and had to be stunned several times by a Taser. Several officers were needed to handcuff Thomas. Thomas continued to struggle with officers kicking at paramedics and officers at Pittston Police Headquarters, according to the complaint. Lou Barletta has his first spot up. Today we released our latest campaign ad and I wanted to make sure you saw it. It’s called “In Our Corner” and you can watch it here. It highlights my record of fighting for Pennsylvanians, whether it’s their jobs, their Medicare benefits, or their safety. It’s a record I’m proud of and I hope you are too. It shows a boxing ring and says he is fighting for Pennsylvania seniors. I am the only one sick of the boxing metaphors and the "fighting for us" tag line from politicians on both sides. An election is about who will govern not who can win a brawl in the schoolyard. I'm sure you will be shocked that he says he is against illegal immigration. Then he takes a shot at Gene Stilp saying "He’s fighting for a radical agenda." That tells you Lou is worried about Gene. Barletta attacks his opponent in his first TV spot when the Captains Obvious college professors think he is lock for reelection. There has not been any public polling in this race but it just might be the surprise of election night. Stilp responds with his usual good humor. Today, 11th Congressional District Candidate and Democratic Nominee, Gene Stilp, unveiled a campaign advertisement which recounts the difficult fights he has taken on in the past, under intense heat and pressure to do otherwise, and states that he is not afraid of doing the right thing in Congress, no matter how hot it gets. The unique 30 second ad cites the longtime activist's prior fights against the 2005 illegal legislative payraise and perpetrators of government waste, fraud and abuse in state government and states that Mr. Stilp can take on "the firestorm of corruption in Washington". See the new ad here. Additionally it cites the misleading comments from his opponent, Congressman Lou Barletta's recent ad. It states that Mr. Stilp wants to cut over $700 million from Medicare. In addressing the false claim, Mr. Stilp said, "Mr. Barletta's ad is completely false. It's Congressman Barletta that wants to cut Medicare, as he voted for the Ryan Budget, which would turn Medicare into a voucher program and would harm our seniors. Mr. Barletta has taken hundreds of thousands of dollars from lobbyists and corporations to run this false and misleading ad. That is what is wrong with Washington and is why I am running. As you can see in this ad, I am uniquely equipped to take on this fight." Shawn Kelly was candidate Lou Barletta's spokesperson in the 2010 election campaign and was given a staff job as Congressman Lou Barletta's spox on official business after the election. I like Shawn and he has always been great about answering my questions in the election in 2010 and since then. I asked him a political question a few months ago and he referred me to the campaign for an answer. He explained that he is now a pointy headed bureaucrat that couldn't comment on the reelection effort. DANVILLE - The absence of Congressman Lou Barletta at a campaign event Tuesday night rankled his election opponent, Gene Stilp, and lead to unanticipated debate over the event's format. The candidates for the 11th Congressional District were expected to debate each other at the American Legion during a Candidates Night hosted by the Danville Area League of Voters. Instead, it was Stilp and a congressional aide trading barbs. Kelly took a long pause and followed with an explanation that, as a employee of his congressional office and not his campaign, he did not know what event Barletta was attending Tuesday. He did, however, say that "He committed to an event over two months ago and he's keeping that commitment. There’s just one problem: staffer, Shawn Kelly, doesn’t work for Congressman Barletta’s campaign, but is actually his Legislative Communications Director, who draws a taxpayer salary. If Kelly in any way charged the taxpayers by using resources issued to him by the United States Congress, that is really bad news for Barletta–especially considering the fact that Gene Stilp is responsible for bringing down this type of behavior in Harrisburg. It is permissible for House employees to do campaign work, but only outside of congressional space, without the use of any House resources, and on their own time (as opposed to “official” time for which they are compensated by the House). Accordingly, any House employee who does campaign work must ensure that the work – including any telephone conversations or other communications concerning campaign business – is performed strictly in compliance with these limitations. It’s still completely unethical. He doesn’t know where Barletta is, because he’s not part of the campaign, but he’s debating at a campaign event. Total BS. The event in question was not a debate. We have agreed to the same number of debates as President Obama and Governor Romney. This has been widely reported throughout the district. One was at Wilkes University under the sponsorship of the Times Leader; another was in Dauphin County under the sponsorship of WHP580 News Radio which covers Dauphin, Cumberland and Perry counties; the third will be on WVIA in a week to cover the six northern counties – Carbon, Columbia, Luzerne, Montour, Northumberland, and Wyoming Counties. If Mr. Stilp received the same letter we did inviting us to participate, he is also aware that it was not a debate. The League doesn’t even describe it as a debate and, as a matter of fact, they clearly identified the event as the “Danville Area League of Voters Candidates Night” in the invitation letter. About two months ago, Congressman Barletta agreed to participate in the Dauphin/Cumberland Fall Dinner. Invitations that were sent out and the event was publicized shortly after that. Less than two weeks ago, the campaign received a formal invitation to participate in the Danville Area League of Voters Candidates Night. At that time, we indicated that we had a scheduling conflict. The League understood but didn’t want to reschedule the event. Instead, the League suggested that we send a surrogate so that’s what we did. Mr. Stilp’s attack on the League suggesting they changed the rules at the last minute is also untrue. The League determined the rules and notified us of them, in writing, on October 15. Instead of making false charges and impugning the character of the League, Mr. Stilp should be explaining his plan for “the long run” to “get this country out of its fiscal dilemma” – something he said he would do over six months ago. State Representative Phyllis Mundy (D) and challenger Aaron Kaufer (R) faced off in a lively debate Tuesday night that I wasn't able to attend. Tuesday’s political debate between Aaron Kaufer and Phyllis Mundy came with a good crowd at Wyoming Seminary in Kingston. The topics of the debate ranged from property taxes to natural gas drilling. All of these were extremely important to the 120th Dristrict…but the most important question was only asked at the end by candidate Kaufer. “Why did we have no discussion about jobs?” he said during his closing statement. During the debate, there were no questions asked(or read by the moderator) asking what we are to do about the high unemployment. Now, I don’t live in the 120th District, but I do work there for the West Pittston Ambulance every weekend. Whenever we go out on calls I see a lot of houses with “For Sale” signs(not just in the flood zone), and I wonder why it is so bad that people have to leave, and our representatives aren’t paying attention to it. One of the problems is the high property taxes. Families were promised relief when the casino was built, but most saw none. Rep. Mundy said that she fought to get property tax relief, and said that she would sign a bill eliminating them if it was brought to her on the house floor. Aaron Kaufer fired back saying that it was bad practice to just wait for a bill to be brought to her. He said that she should’ve been reaching across the aisle to help get that bill written and brought to a vote. I can’t help but agree! Other questions asked during the debate involved gun control(why? ), the Voter ID law, and the UGI Compressor Station is West Wyoming. Strangely enough, Phyllis and Aaron were both in a general agreement on these issues(except for gun control). One of the first things I ever learned about debating is to never EVER say “I agree” with your opponent no matter what. Always find something to pick apart no matter how small or insignificant it is. One of the other topics of agreement was the Natural gas drilling in NEPA. We are the only state without a severance tax on gas drilling, and both candidates support one. But I think Rep. Mundy must have bumped into President Obama on the way to this debate and stolen some of his cue cards, because I heard “fair share” about ten times. Even though I’m not a resident of the 120th District, I will definitely be paying attention to the race because it has some big effects on everyone living in Northeast Pennsylvania. Best of luck and thanks to both of the candidates for coming to my political forum at Penn State Wilkes-Barre. Matt Hughes write up in the Times Leader has the play by play on the issues that documents their agreement on some issue. Bill Wellock covered it for the Citizens Voice. I just viewed the video and few things stood out. Aaron Kaufer had command of the issues and admitted that he didn't know enough about some obscure bill to comment on it. Phyllis Mundy kept attacking Governor Tom Corbet and the Republican State Senate and tied them to Grover Norquist. Kaufer kept saying he would work for Bipartisan solutions. On the severance tax and environmental safeguards Mundy asked "Is he going to be the only one over there who votes to do those things?" Kaufer landed a punch on pensions after Mundy said she voted against increases but took it anyway. Mundy didn't commit any unforced errors but Kaufer had a few questionable statements. On the assault weapons ban Kaufer said the Holocaust would not have happened if Jews had guns. He really screwed up saying "We don't need old politicians." The audience booed. At the end he said his background was in US/Chinese economics. ??? Rep. Phyllis Mundy and Candidate Aaron Kaufer for a political forum. please feel free to contact John Lombardo at jfl5128@psu.edu. Rep Phyllis Mundy and Matt Cartwright will hold a joint rally on October 30 at 6pm in West Wyoming Hose Co #1 Shoemaker Ave. Food and beverages will be served. The event is free and everyone is welcome! Aaron Kaufer, Republican candidate for state representative in the 120th District, will hold a meet-and-greet from 6 to 8 p.m. Tuesday, Oct. 30, at Marianacci's restaurant, 252 W. Eighth St., West Wyoming. There will be free pizza and soda. Local libraries are under great financial pressure these days seeing their government funding repeatedly cut. This should be a good time for a good cause. I understand that Shawn Klush realy nails the King. 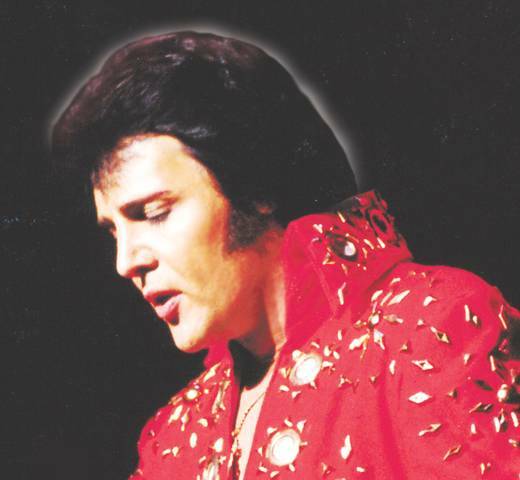 PITTSTON (10-12-12) – The Pittston Memorial Library Board and Capital Campaign Committee have announced that tickets are now on sale for “Shawn Klush, the World’s Greatest Elvis.” The show will be presented on November 24, 2012 at 8 p.m. at the F.M. Kirby Center. Tickets are $75 (VIP), $45 and $35 and can be purchased at the Pittston Memorial Library, Kirby Box Office or through Ticketmaster. Born and raised in Pittston, Shawn has been designated the “First Ever Ultimate Elvis Tribute Artist” by Elvis Presley Enterprises. He has also been named “The World’s Greatest Elvis” following a vote of 6.5 million international viewers on BBC1 Television in the United Kingdom. Also appearing with Shawn at his performance at the Kirby will be special guests, The Sweet Inspirations, who performed for years as backup singers for the King himself. Those purchasing $75 VIP tickets will be provided with choice seating and access to a pre-show “Meet and Greet” that will include appetizers, complimentary drink and photo/autograph opportunity with Shawn. The “Meet and Greet” will begin at 6:30 p.m. and go to 7:30 p.m.
To purchase tickets from the Pittston Memorial Library, call 654-9565 X 25. The F.M. Kirby Center Box Office can be reached by calling 823-4599 or e-mail Ticketmaster at www.ticketmaster.com. Payment can be made by check, money order, or credit card. Library Board Member Marla Pupa is serving as event chair. All proceeds of the event will go to benefit the Cosgrove Capital Campaign for library expansion. The library plans to add a 5,175 square foot addition to the current facility at 47 Broad St. in downtown Pittston. The new addition will include a community/conference room large enough for 100 people and furnished with Smartboard, WiFi and teleconferencing capabilities. The new community/conference room will also serve as a home to the Intergenerational Family Center, an all-inclusive program designed to provide support and services to grandparents who are raising their grandchildren. The program will be open to all residents of Luzerne County. The library addition will also provide a larger children’s section, arts and crafts room; teen, senior and veterans space; entrance, vestibule and other amenities. Sponsorships for “Shawn Klush, the World’s Greatest Elvis” are available as well as space for ads in the show’s Program Book. For additional information on sponsorships, ads and ticket specials, call Carol Crane at 654-9565 X 25.